Learn about the importance of protecting the health and safety of those present in the workplace. Learn how to identify and contain risks in the work environment. Learn how to conduct investigations relating to OHS. Gain the skills you need to work in or oversee the OHS division of an organisation. Download the OHS brochure here. An Oxbridge Academy skills course in OHS will equip you with knowledge and skills relating to the particular topic that you choose to study. While the skills courses are non-accredited, they will give you the background that you need to take up the role of safety representative within an organisation, and they will introduce you to the fundamental principles of health and safety in the workplace. These courses are also non-credit-bearing, but are accredited by Saiosh, a professional body recognised by SAQA. By studying an ISO or BS OHSAS course in OHS, you can gain the knowledge and skills that you need to start – or advance – your career in the OHS environment. These are non-accredited online courses designed to introduce you to basic computer concepts and to equip you with specific computer skills. These courses can be completed via the internet – using a tablet or PC. What do our Occupational Health and Safety students have to say? The purpose of occupational health and safety is to make sure that all employees are provided with a workplace that is safe and unlikely to pose a risk to their health. Proper health and safety measures in the workplace should be designed to reduce occupational injuries and diseases, and should protect all those who are present in the workplace (including employees, customers/clients, and external service providers). Reviewing the effectiveness of health and safety measures in the workplace. Identifying potential hazards in the workplace. Examining causes of health- and safety-related incidents in the workplace. Investigating health- and safety-related complaints from employees. Inspecting the workplace and consulting with outside inspectors. Making representations to the employer about matters relating to workplace health and safety. 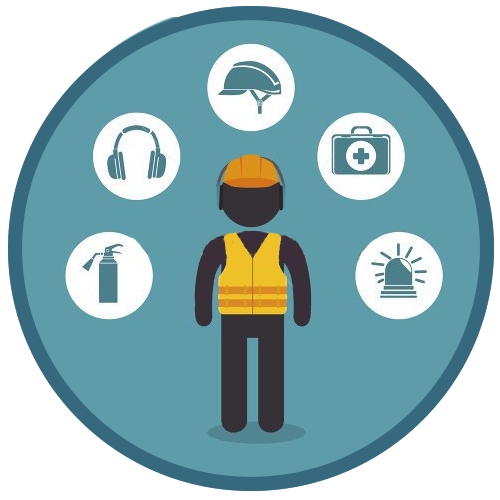 In terms of the Occupational Health and Safety Act, employees are also responsible for taking care of their own health and safety at work, as well as for the health and safety of anyone else in the workplace who may be affected by their actions or omissions. What skills do you need to work in Occupational Health and Safety? Occupational health and safety (OHS) specialists can work in a variety of working environments, and are needed by employers all over the world. They are generally responsible for making sure that health and safety standards are maintained in the workplace. As such, they often work under stressful conditions, and they may be required to travel to visit work premises. Depending on the nature of the work that they do, they may find themselves working in dangerous conditions at times. Please note: These are examples of the types of careers that exist in the field of OHS. The requirements for the types of positions mentioned above will vary from one employer to another. If you want to work in some of these positions, you may need to undergo additional training once you have completed your OHS course at Oxbridge Academy. Who else will benefit from OHS training? Managers, employers, architects, construction project managers and building inspectors may also need to be familiar with various aspects of occupational health and safety, and may benefit from occupational health and safety training. Ready to develop your occupational health and safety skills? BS OHSAS: British Standard Occupational Health and Safety Assessment Series. The BS OHSAS standards are British occupational health and safety standards that are based on the relevant ISO standards, and are recognised internationally. HIRA: Hazard identification and risk assessment. HIRA forms part of the risk management process. ISO: International Organization for Standardization. The ISO, which is based in Switzerland, develops International Standards that aim to ensure the quality, safety, and efficiency of products, services, and systems globally. 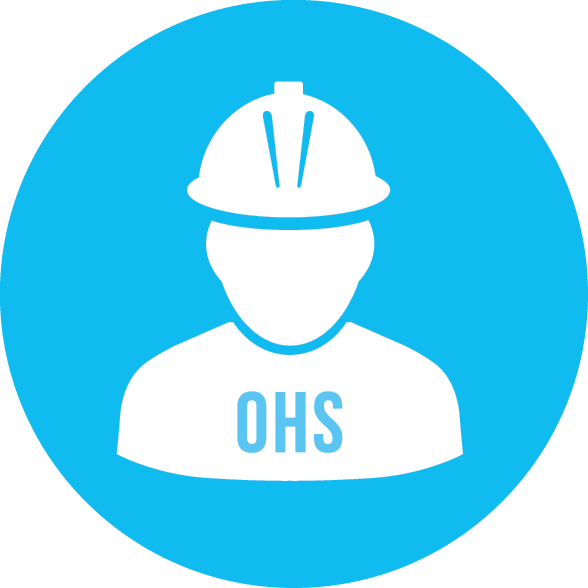 OHS: Occupational health and safety. The field of OHS is concerned with ensuring the health and safety of all the people present in the workplace and with ensuring that all workers have access to safe working environments. Safety Officer: A job role that involves developing, implementing, and evaluating health and safety measures in the workplace. A formal qualification is required to be employed in this role. In the construction industry, the role of Safety Officer is regulated by the South African Council for Project and Construction Management Professions (SACPCMP). Saiosh: South African Institute of Occupational Safety and Health. SAIOSH is a professional body recognised by the South African Qualifications Authority (SAQA). Safety Representative: An employee designated in terms of the Occupational Health and Safety Act to represent employees in relation to health and safety matters in the workplace, as well as to act as a liaison between senior management and employees regarding health and safety in the workplace. The role of Safety Representative is not always a full-time job, which means that a Safety Representative may fulfil this role in addition to his or her normal employment duties and responsibilities. SHE: Safety, Health, and Environment.